While doughnuts aren’t exactly a health food, sometimes you just crave something rich and chocolatey! 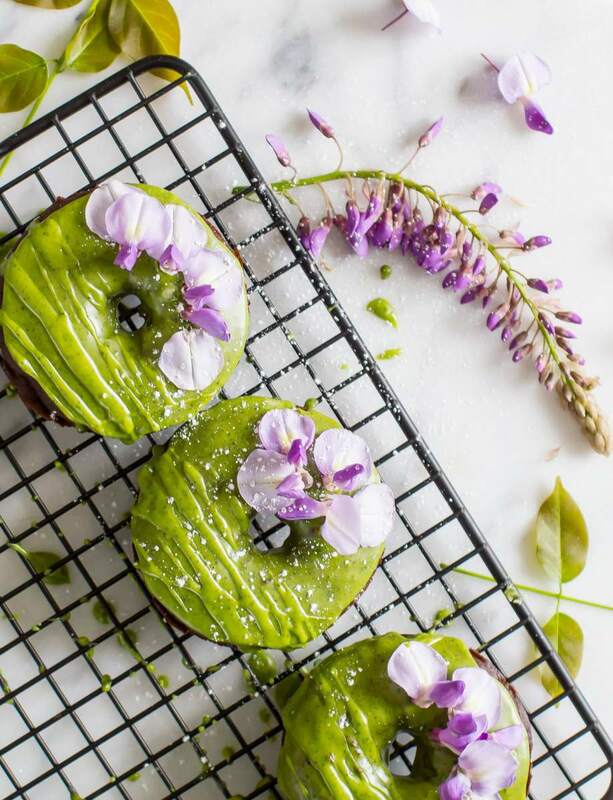 My GF Matcha Chocolate Doughnuts hit the spot AND they’re gluten free. You can of course use regular cane sugar if you want, but I wanted to try it with coconut sugar. Ok, so it’s not totally guilt free. 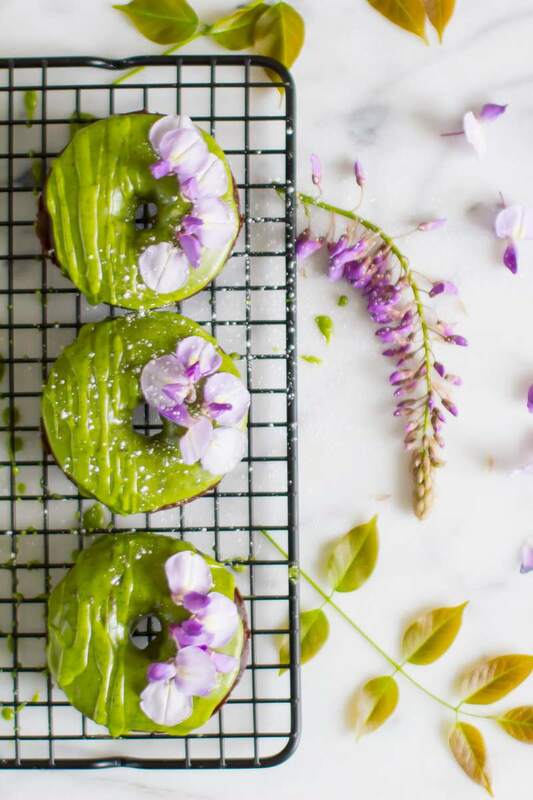 I am working on a doughnut glaze that doesn’t involve powdered sugar, but you can skip that part and you’ll still enjoy these doughnuts (or just use a little). This recipe is also so easy and I was also able to use the same recipe for a bundt cake! What a great texture and very rich chocolate flavor! Actually I made these for St. Patty’s day, which was a few week’s ago, which is why I used matcha for a nice cheerful green! The glaze will sink into the doughnuts if these are refrigerated, so make them the day you’re going to be serving them! Mix the dry ingredients in a large mixing bowl. Add the wet ingredients and quickly mix until a batter is formed. Be careful not to over-mix. Grease a doughnut pan lightly and spoon the batter into the molds until about ½ way full. Bake for 12 minutes. Check with a knife or toothpick to make sure the center is thoroughly cooked and remove from the oven. Allow to cool before removing from the pan. Mix all the powdered sugar, almond milk, vanilla, salt and matcha in a mixing bowl until smooth and thoroughly incorporated. Dip the cooled doughnuts into the glaze and allow to set on a tray or cooling rack. Or you can drizzle the glaze over the doughnuts for a striped effect.